1. What Is Classic Christianity? I cannot tell you where in St Anselm’s prayers and meditations this is to be found. I found it originally for Evensong one year when I was precenting and it was the feast of this Archbishop of Canterbury (although he wrote this when still a monk at Bec). 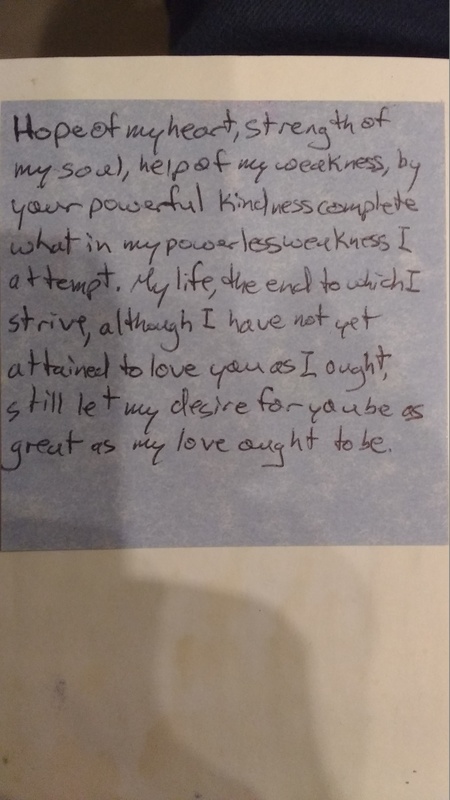 Nevertheless, it has been a go-to prayer of mine ever since, and I am glad that I stuck this Post-It in the back of my prayer book — the expectation was a single use, but grace decided otherwise. I hope it can similarly inspire you. Do you have any favourite prayers? I’m thinking of sharing some others here over the coming weeks. My research has recently brought me into contact with Fulgentius of Ruspe, an African theologian who lived c. 467 to c. 532. Some say he is the greatest African theologian of antiquity post-Augustine. Fulgentius is not an original thinker. He is, however, articulate and a great synthesiser. His job is not to be original. When you read his letters, you see a man who knows what catholic doctrine is and who wants to help his correspondents understand this doctrine better. My research interest is in his reception of Leo the Great (of course), so I’ve not actually got to the topic of this post in Fulgentius. Nonetheless, of note in Fulgentius’ corpus is correspondence with Scythian monks about Christology and the question of grace/predestination. This is related to a research question I have been toying with: Why are certain monks against Nestorianism? Nestorianism, you will recall, is the teaching that Jesus Christ exists in two persons, one divine, one human. 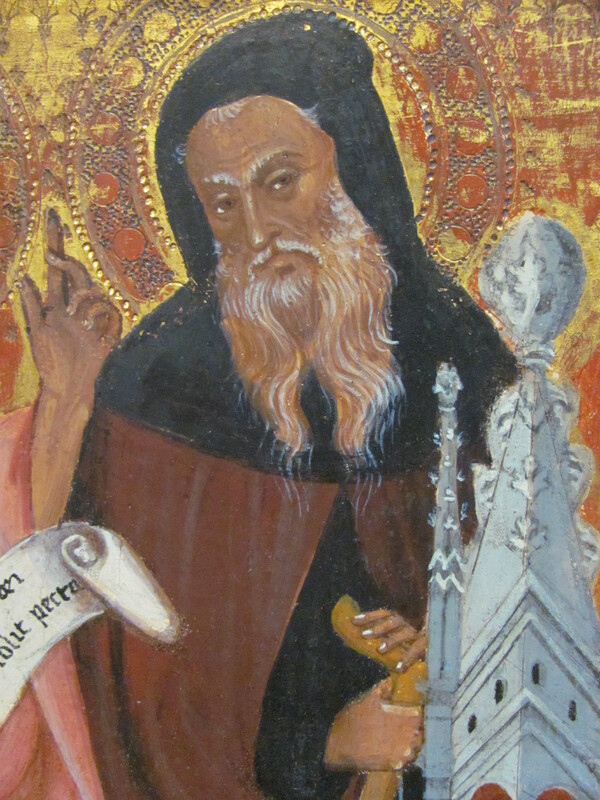 John Cassian, the alleged ‘semi-Pelagian’ monastic leader in Marseille (but, really, semi-Augustinian? ), wrote a Latin tract On the Incarnation Against Nestorius on behalf of then-Archdeacon Leo of Rome. Mark the Monk, off in Ancyra and, later, Palestine, also wrote in Greek against Nestorianism. Third, Shenoute of Atripe, the greatest of Coptic writers, also wrote against Nestorianism. I am uncertain about Shenoute, but Mark and Cassian also wrote about predestination and freewill, Mark in ‘On Those Who Think They Are Made Righteous by Works’ and Cassian in Conference 13. Neither is a friend to the -ism associated with Pelagius, although neither fully embraces the -ism of the Augustinians. To the Latin West as represented by Cassian and Pope Celestine I, Nestorius’ association with Theodore of Mopsuestia was damning because of Theodore’s own friendliness towards Pelagius and Caelestius. My hypothesis runs something like this. Part of the heart of the Pelagian debate is whether or not one’s discipline is what ‘saves’ him/her. How much is enough? Is it all my own will? How responsible am I for my own righteousness? My own sin? How does my freedom interact with God’s sovereignty? To many people, the teaching associated with Nestorius undoes the divinity of Jesus. By bifurcating the Messiah, the human is not really assumed by the divine, they argue (thus abrogating communicatio idiomatum, on which I’ve blogged). If Jesus the man has to do everything as a man, then God isn’t really saving us, and Jesus the man has no saving power. I may be missing parts of anti-Nestorian polemic. Forgive me. This certainly is not meant to represent Nestorius, I assure you. Think about this, then. God has not truly become man. He just gave a particular kind of special grace to Jesus. Jesus becomes just a moral exemplar. Regardless of what Pelagius, Caelestius, or Julian of Aeclanum actually believed, this is precisely the sort of thing their opponents were gravely concerned about. Grace is now inaccessible, really. On the other hand, whether you are a conservative Cyrillian or a traditional Latin in the cast of Pope Leo, Jesus Christ is most assuredly completely and utterly God. You can also tell he is fully human. But in the person of Jesus of Nazareth, God has rent the heavens and come down. He has entered to the fullest into the human condition. He did not simply join himself to Jesus or have a conjunction (the sort of language used by Nestorius and Theodore). The entirety of a unique human nature was experienced by God. Grace can flow from him to us. Prayer matters. Union with God through Christ in Eucharist, in prayer, in baptism — this is freely available to all who truly repent and turn to him. Your disciplines may not save you, but they can make you more like the man Jesus. And the man Jesus is definitely God. So God can use them in you to perfect you and draw you closer to the mystical goal that is the end of all Christian ascetic practice — union with God, Godmanhood, theosis. I think, then, that in ascetic theology, grace and Christology are intimately united. I’ll have to see what Fulgentius has to say. My priest brother and I are (very) slowly making our way through The Philokalia, Vol. 1, right now. As those of you who have been with me since this blog’s inception (oh so many years ago), I have a long-standing interest in Evagrius Ponticus and demonology. Evagrius is the second author in vol. 1. The first sentence is very un-Protestant, isn’t it? And, of course, we shouldn’t expect Evagrius to be Protestant. But many of a Protestant mindset will be turned off by anything contributing to our salvation except the grace of God alone. Our hatred against demons cannot, by Protestant calculations, contribute to our salvation. As the Greek quotation above shows, Evagrius uses the Greek word σωτηρία to mean salvation — it is a simple movement from σωτηρία to salvation, isn’t it? But in what context might we refer to salvation? What is salvation here? Well, first of all, what on earth do we mean when we say salvation? Basing my answer entirely upon anecdotes and personal conversations, it is clear that Protestants, at least, mean something called justification almost every time we say salvation. Article XII is quick to point out that, although good works be the fruit of justification, they do not contribute thereto. Thus, the Evagrian statement above, that ‘Hatred against the demons contributes greatly to our salvation,’ is entirely out — with salvation being justification and justification understood in a Protestant/Anglican way. But is σωτηρία in Evagrius the same thing as justification in the 39 Articles, or even δικαιοσύνη — that Pauline word usually Englished as justification? I think not. This form of salvation is something else; this is what one evangelical friend referred to as ‘process justification’ once. The Evagrian salvation here is not us being rescued from the fires of Hell, or entering into a right relationship with God, or being considered holy because of Christ’s holiness and our faith — it is us being saved from the ongoing and enduring effects of the Fall. In this case, it is our salvation from the power of the demons, with the goal of us becoming holier. This is us being saved from the presence of sin in our lives. Bishop Eddie Marsh once stated that justification is being saved from the penalty of sin; sanctification is being saved from the power of sin; and glorification is being saved from the presence of sin. All three involved being saved, so all three could be consider aspects of the ongoing salvation, σωτηρία, of the human person, through the grace of God. When I quoted the Evagrius passage above, I went on beyond the initial sentence because it is clear that Evagrius sees Christ the Physician as taking an active role in our salvation. Our own efforts are not what truly cleanse us. We become dispassionate because of the grace of God, and God, in His grace, may choose to help us along in the path of holiness using our own efforts as the instruments of his good and gracious will. Two differences exist between this collect after the Use of Sarum and Cranmer’s version in the BCP: 1. ‘of Thy lovingkindess’ becomes ‘of thee’ in the Prayer Book, and 2. ‘more plenteously’ is simply ‘plenteously’. I admit to having no theories as to why the former change was mode. The latter seems to be made to make the sentiment more Protestant. That is, we are hoping to be plenteously rewarded, full stop. No ‘more plenteously’, since our good works do not change the acting of God’s grace and lovingkindess upon us. This, at least, is my theory. Feel free to disagree/offer your own. I like the connection between Trinity 24 and Advent 1 in Sarum. The final Sunday in the Church Year is thus intimately linked with the first. Endings are united with beginnings. We are asking the Lord to stir up for us. In Trinity 24, it is our own wills we want Him to stir up. As the Prayer Book collect for Trinity 19 says, ‘forasmuch as without [God] we are not able to please [God].’ So we ask Him to stir up our wills that we may do the good works he requires of us. In Advent 1, we are beseeching God to stir Himself up. We are asking Him to come, seeking His Advent in the here and now (this is, in some ways of thinking, e.g. St Bernard of Clairvaux, the second coming, whereas Christ at the Final Judgement is the Third). I have no doubt this is precisely the sort of prayer that Reformers were wary of; observe its lack of presence in the BCP! The prayer asks ‘that we may be accounted worthy’, and the oft-repeated refrain of the Reformation is that our worthiness has nothing to do with it. To many ears, this sounds like a diminution of grace. But perhaps it is not. I mean, we are asking to be ‘accounted’ worthy. Not to be worthy. 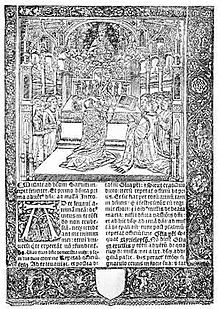 If anyone is aware of his own unworthiness, it is the mediaeval Christian. Read St Thomas a Kempis if you don’t believe me. We are not worthy, but God can account us worthy, see us as worthy. This is entirely His own free gift. This is grace. And what do we want, having been account as worthy by God? His deliverance. We want to be rescued from our sins. At the beginning of this holy season of preparation for the Feast of the Nativity, we are asking God to deliver us from our sins, to make us holy. A good place to start, don’t you think? The last factor I would mention is monasticism, which throughout the great upheavals of history continued to be the indispensable bearer not only of cultural continuity but above all of fundamental religious and moral values, of the ultimate guidance of humankind. As a pre-political and supra-political force, monasticism was also the bringer of ever-welcome and necessary rebirths of culture and civilization. Benedict is writing here from the perspective of society and culture, of course. And I cannot deny the major importance that the monastic and ascetic movement has had and still has across Europe. This paragraph makes me also think, however, of a phrase Diarmaid MacCulloch used in one of the lectures of his ‘History of Silence’: The silent (or quiet?) ecumenism of mysticism (or asceticism?). As you can see, I don’t quite remember the quotation exactly (I’m notorious for that). Nonetheless, the point comes across. 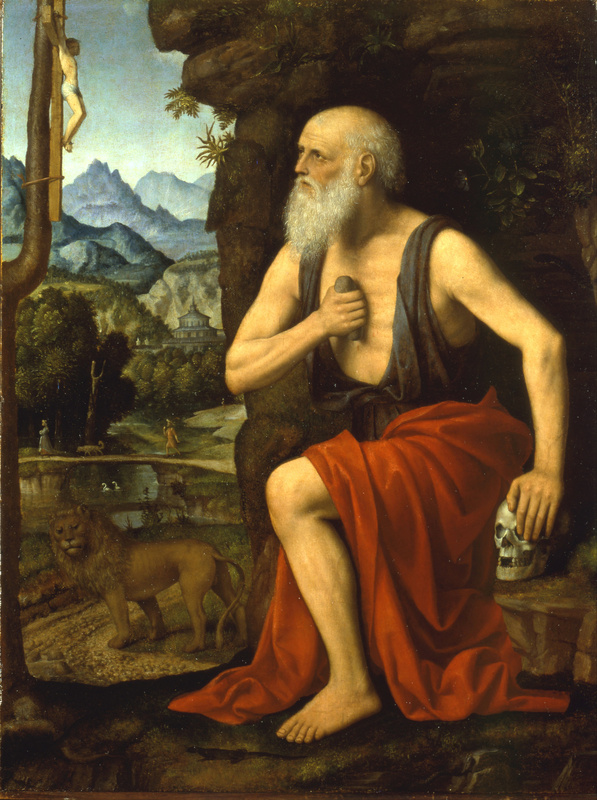 Whatever differences may exist between power structures of western and eastern Christianity, whatever variations amongst our respective liturgical inheritances, whatever divergences in dogma and formal, confessional teaching of doctrine, the ascetic and mystical tradition of Christianity finds its common source in the Prophet Elijah and St John the Baptist as well as the wellsprings of the Egyptian, Syrian, and Judaean deserts — and its different streams taste remarkably similar. 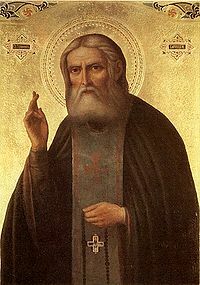 It is my experience, at least, that the main differences between the Eastern Orthodox/Byzantine/Russian spiritual writers and those from the west (primarily Catholic or Mediaeval) are of emphasis, but they are united in their experience of God. They are also united in their promotion of the disciplines of prayer, fasting, almsgiving, contemplation — while steering us clear of illuminism. The goal of all of this, this entry into the Interior Castle (to borrow the term from St Teresa of Ávila), is to encounter the Giver, not His gifts. And all of them (much to the chagrin of the Reformed) will speak in terms that are best understood by the word synergy. That the encounter with God, the quest for purity and the contemplation of the Most Holy Trinity requires everything of us, requires much effort and labour on our part. Yet it comes, in the end, only because of the grace God. It is wholly dependent on God, yet we are required to seek to purify ourselves so that God will purify us. We are told to seek His face so that He will show it. 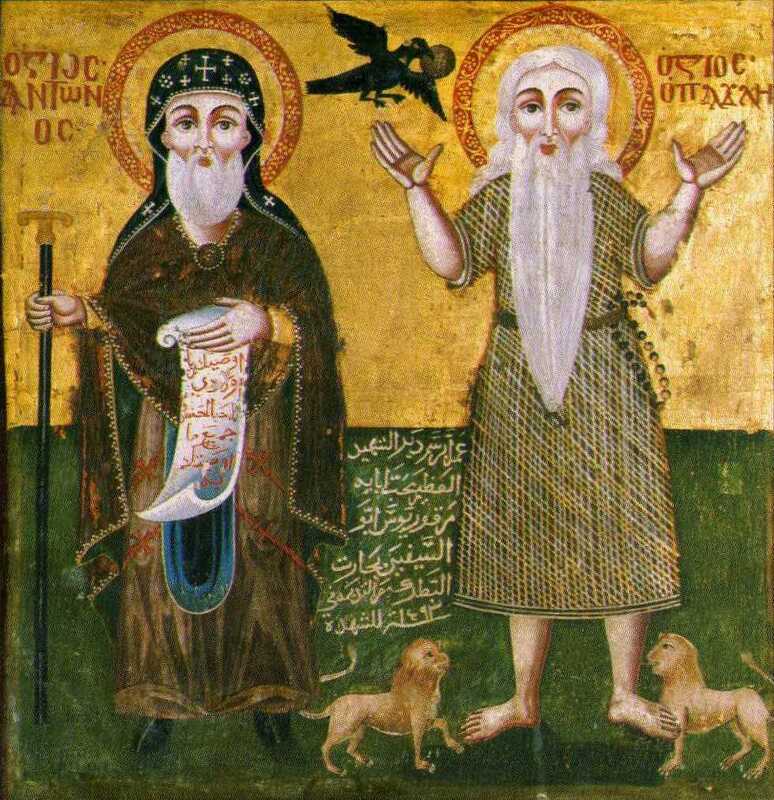 I am thinking here of St Theophan the Recluse and St John Cassian, one at the end of the Russian tradition, the other at the beginning of the western. Perhaps, then, Christians should spend more time praying together and more time praying alone. And then, having encountered the Most Holy Trinity Who is Himselves a Communion of Persons, we can find greater communion with each other. I try to avoid polemic on this blog. I’d rather discuss those things from the Great Tradition and various other traditions of Christianity that most of us can benefit from, or those things that really just tickle my fancy. However, today I have a burning desire to write something less than irenic. I don’t know why the random parentheses are scattered across said commenter’s comments. This brings me to the heart of why I am not Orthodox: salvation. Reconcile me to the Virgin, the saints, the necessity of kissing icons, the Orthodox view of church history, Palamite hesychasm, the Eucharist, and so forth. I’m willing to be convinced. But I will be much harder to convince because of how this tradition approaches salvation. At its best (and I try to look at all non-heretical Christian groups at their best), the Orthodox tradition wilfully refuses to parse salvation, saying that simply praying the sinner’s prayer isn’t enough to be ‘saved’, that salvation is found in the ongoing life of faith that follows. The whole bundle is ‘salvation’ for the Orthodox, while we parse the different bits. Each catches a bit of the truth. But this leads to difficulties for many of the eastern tradition, going back at least to Mark the Monk, a fifth-century Greek monk who lived in the Egyptian desert (maybe; it’s a common name, so all the sayings attributed to Mark the Monk may not all be by the same monk named Mark). If you read the selections from said Mark in The Philokalia, one of the things that will become apparent to a Protestant reader is that Mark has no assurance of salvation. Mark the Monk, for all the various pieces of wisdom on prayer and the spiritual life he has, lives in the fear of Hell. This may not be the best of Mark the Monk, and it may not be the best of Eastern Orthodoxy, but it is not uncommon. Indeed, is this why many Orthodox pray the Jesus Prayer? For me, it is a way of drawing nearer to the Saviour who I know has saved me. If it is ‘salvation’, it is the ongoing purification from the presence of sin or the tendency toward sin in my life, not escape from Hell. This is why it’s not so bad that we Protestants tend to parse salvation, even if we may go too far sometimes. Save yourself and thousands around you will be saved. Keep your heart at peace, and a multitude around you will be saved. If I save myself, if I keep my heart at peace, that is a terrible burden. I cannot lift that. Is this not the entire point of the Gospel of Grace? God became man so that man might become like God? We are, each of us, beset by sin on all sides. We cannot, of our own accord, save ourselves. We, God’s beloved creation, are tending towards destructin. So he becomes one of us, and by the power of that Incarnation, and then the death of One of the Most Holy Trinity on our behalf, and then when He destroys death with the lightning flash of his Godhead and rises again, He gives us the grand gift of salvation from the penalty of sin. And as we accept this gift of grace, he empowers us to live holier lives, day by day, lives of grace. If we accept his daily grace and walk with Him regularly and engage in the disciplines, we become holier and holier. This is the life of salvation, but all of it is grace. Grace. The great scandal at the heart of the most ancient strand of the Christian tradition. The great incomprehensibility lying in wait for us in the Scriptures (read Romans, Ephesians, Colossians). A power so mighty that even those who claim the strongest ties to the ancient church live much of their lives as though salvation depended on themselves, not on it. Maybe this is arrogance on my part. Maybe it is arrogant to say, ‘I have read the Scriptures and many of the Fathers and much of the Tradition. The earliest strand and truest strand and the strand most consonant with the Scriptures is grace.’ If it is, God have mercy on my soul. And I know — to forestall certain comments — that Vera is not the Orthodox position, and that there is a diversity within Eastern Orthodoxy, and that there are shades of meaning in ‘salvation’ in Orthodox discourse, and that what I describe is not indicative of the experience of a great many Orthodox, and so forth. I have no doubt. But I have witnessed it with my own eyes — all the more, then, do I grieve for this state of affairs. Yesterday, we left off with John Wesley’s true and powerful conversion of his entire self to Christ and the cause of Christ in 1738. This led to his evangelistic mission that lasted from 1739 until his death in 1791. This was the year that Wesley the student became Wesley the teacher — although he would never cease to learn as his life continued. * He became a preacher. As I recall, one of his first (if not the first) major evangelistic events was outdoor-air preaching in Bristol. In that city were many people of the working-class who had not heard the Gospel in plain language, people whose lives were lived out in abject poverty both of body and of spirit, alcoholics, wife-beaters, people who, if they did darken the door of the local parish church, had learned to tune out the parish priest. So Wesley did something different. He brought the Gospel to them. He stood out of doors in their midst and preached to them Christ crucified. ** He called them to live lives of holiness, infused by the grace of Almighty God. And John Wesley, the failed missionary of Georgia, aflame with the limitless power of the Holy Ghost, became John Wesley the evangelist of England. He travelled on horseback almost ceaselessly, preaching 15 times a week, bringing the light of Jesus into the darkness of Britain. And the Holy Spirit did His work in these people. People came to hear Wesley, and they were convicted by his words. These new converts were organised into a system that would enable them to be catechised in what the faith taught and instructed in how to live, being held accountable one to another. On one occasion, when Wesley visited one of the smaller gatherings, a former alcoholic appeared drunk at this believers-only gathering. Wesley expelled him for drunkenness. The Spirit worked on this man’s soul, and by Wesley’s next visit he was living sober, counted among the faithful. Wesley had a high standard of holiness; yet we see in his sermon “On Working Out Our Own Salvation” that he was aware that we are not saved by holy living, only by Christ. Yet in that sermon he exhorts his listeners to holy living, for Christ who calls us to work out our own salvation also “worketh in us” to bring it about. By grace we are called to obedience; by grace we are enabled to live the obedient life. By faith we respond. This call to holy living was one of the central points of Wesley’s theology, as seen in his Plain Account of Christian Perfection. And the faith of this Great Tradition inevitably leads us to live our theology and to proclaim our theology. The Virgin Birth matters, the Ascension is real. These miracles are events of history, and their impact permeates us now, contrary to certain Anglican bishops then (and now) who denied these doctrines. Christ is God; God is Christ. He is ascended on high and He lives in us and through us. By His power, we live holy lives. Thus, Wesley’s theology always grappled with the practical realities around him, including faithless bishops and faithless flocks. These were called back to Jesus, back to the Gospel, back to lives of holiness. Ah, that we could live holy lives ourselves! The path of holiness is calling us to seek it. Our Guide is reliable. And the End of the path is the most worthy End of all — for He welcomes us with open us, us squandering, prodigal, wastrel children of His. *See John and Charles Wesley: Selected Prayers, Hymns and Sermons, “Introduction,” by Frank Whaling. HarperCollins, 2004, p. xxiv. **This technique had been seen in England before, as with George Fox the founding Quaker. ***See Whaling’s “Introduction”, p. xxi. Get e-mails of the latest posts on The Pocket Scroll! The Spirituality of Gothic Architecture: Look Waay Up! What is home - and where can we find it? Luís Henriques's blog on musicology,music edition, performance, &c.
Exploring history, faith, and academic life. A travel blog about Rome and Italy.